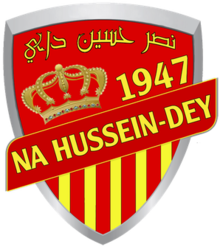 NA Hussein Dey suffered Caf Confederations Cup elimination following a 0-0 draw at home to Zamalek at Stade du 5 Juillet 1962 in Algiers on Sunday. The result duly confirmed the White Knights as Group D winners. The Egyptian giants advance into the knockout stages alongside Gor Mahia who beat Petro de Luanda 1-0 despite ending the match in Nairobi with nine men. Zamalek and Gor Mahia each conjured nine points from six matches, but The White Knights sit at the summit due to a superior head-to-head record. Hussein Dey finish in third on eight points, one point more than Petro who duly also suffered CAF CC heartbreak. Christian Gross' men hadn't won a group stage game until matchday four, but victory away to Petro followed by a 4-0 thumping of Gor Mahia in Alexandria sparked their continental hopes. Their turnaround duly culminated with a hard-fought win in Algeria. Hussein Dey: Merbah; Laribi, Allait, Khacef, Tougai, Ouertani, Yaya, Raiah (Harrag 46'), Chouiter (Yaiche 46' [Dadi 72']), Yousfi, Ntankeu. Zamalek: Gennesh; Alaa, Nagguez, El Wensh, Hamed, Sassi, Gomaa, Zizo (Aziz 90'), Obama, Ahadad (Kahraba 76'), Boutaib.